Now Available in Color and Black and White! Plus...There are 2 different sets! 0 through 10's AND 0 through 12's! 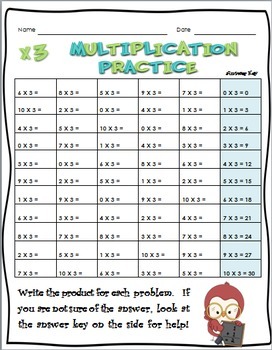 My math fact practice worksheets are different from others you have probably seen in the past. 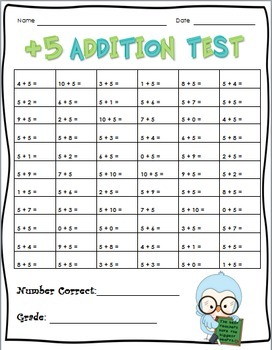 My sheets include the answer key along the side so that if the student can’t remember the answer, he may look at the answer key for the CORRECT answer! 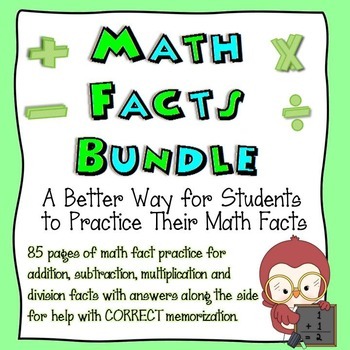 We don’t want our students to incorrectly practice math facts and that can happen when the students are first learning to memorize their facts. 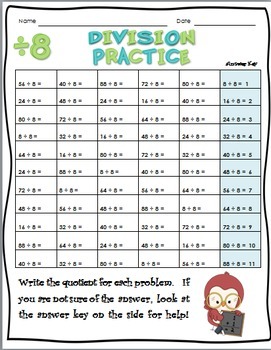 This packet includes 85 total practice pages for addition, subtraction, multiplication and division facts.